Gabriel (Gabe) Javier serves as Assistant Dean of Students and Director of the Multicultural Student Center. 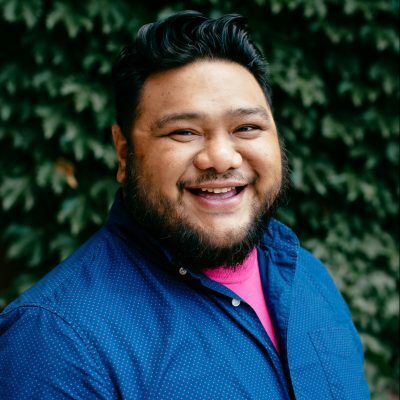 Previously, Gabe served as the Director of the UW-Madison LGBT Campus Center and the Assistant Director of the Spectrum Center and Assistant to the Dean of Students at the University of Michigan-Ann Arbor. Originally from St. Louis, MO, Gabe was raised Roman Catholic and is a member of Pi Kappa Alpha Fraternity. 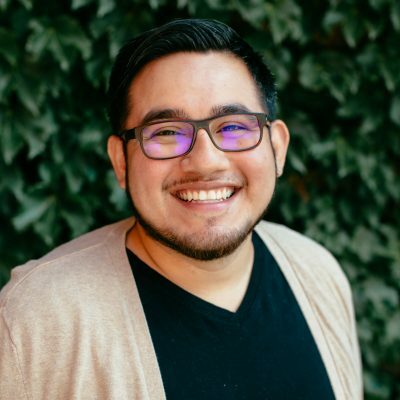 Gabe has presented across the nation on topics such as intersectionality, intimate partner violence and sexual assault, digital identity development, and the design, implementation, and assessment of LGBTQ Ally Training programs. Maria Ahmad serves as the Assistant Director for Leadership and Involvement at Multicultural Student Center. In this role, Maria oversees the MSC intern program, development of over 25 multicultural student organizations, general facilities management of the MSC space, and leadership and professional development opportunities for student leaders. 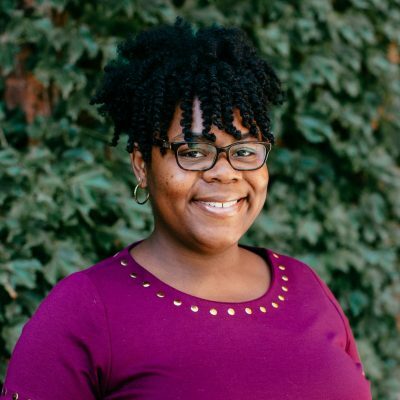 Maria brings experience from her previous position as the Coordinator of Student Life and Campus Diversity at Indiana University Kokomo, and her education. She earned her undergraduate degree from the Ohio State University, and her Masters in Student Affairs at Northern Illinois University where she served as the Graduate Advisor for student organization support and leadership. Maria is involved in NASPA Knowledge Communities, and chairs the regional IV-E KC on Religion, Faith, and Spirituality. 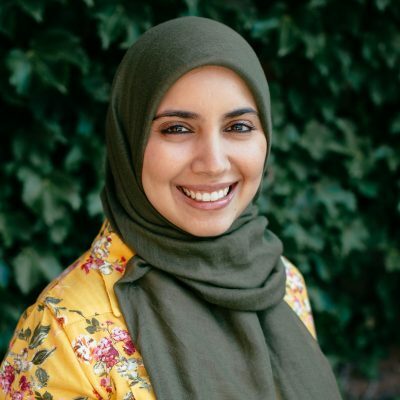 She also works with the National Muslim Students Association Board as the Higher Education liaison. She is passionate about helping students get involved on campus and build community while also developing into strong leaders and friends who work to make the world a better place for all. Karla Foster (she/her/hers) serves as the Assistant Director of Cultural Programming for the Multicultural Student Center. In this role, Karla oversees all of the culturally relevant programmatic efforts of the MSC, all Cultural Heritage Month Planning Committees, and the Black Cultural Center. Karla brings experience form her previous positions as the inaugural Black Cultural Center Program Coordinator, the Campus & Community Liaison for African American students within the Pathways to Educational Achievement office in the Division of Diversity, Equity & Educational Achievement, and her education. She earned her undergraduate degree from Indiana University- Bloomington with a minor in African American And African Diaspora Studies, and her Masters of Science in Student Affairs and Higher Education at Indiana State University where she served as a Graduate Retention Counselor in the Charles E. Brown African American Cultural Center and an Academic Advisor in the School of Education. Chat with Karla if you are interested in: Cultural heritage month programming, Black history and culture, student organization development, Black Greek life. Lauren Adams (she/her/hers) serves as the Program Coordinator for the Black Cultural Center (BCC). In this role, Lauren oversees outreach, programming, assessment, and the daily operations of the BCC. As a Chicago native, Lauren attended Loyola University Chicago where she earned her Bachelor’s of Arts in Women’s Studies Gender Studies and minored in Education Policy Studies. Lauren is also a graduate of Michigan State University’s Student Affairs Administration program where she earned a Master’s degree, as well as a certificate in Teaching and Learning in Post-Secondary Education. 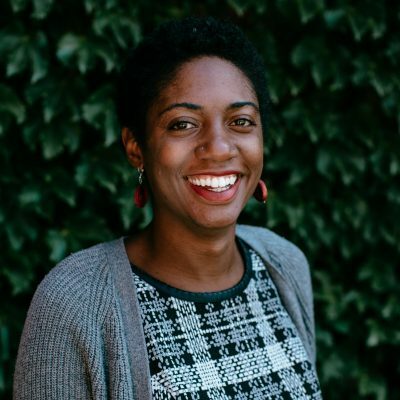 Lauren brings with her experiences in teaching, residence life, and working with retention-based programming for first-generation, working class, and Students of Color. 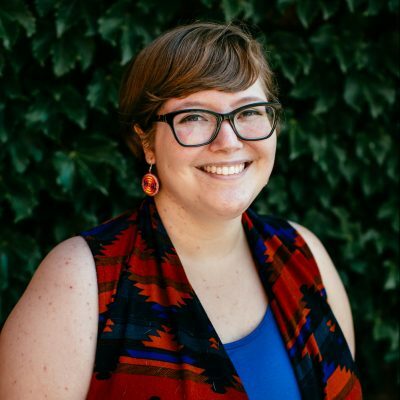 Considering herself a scholar practitioner, Lauren serves on the NASPA Journal of Women and Gender in Higher Education. 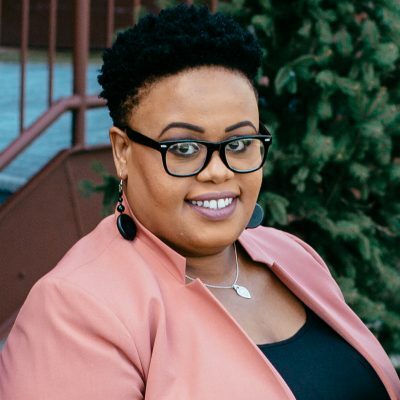 Additionally, she has presented at national conferences and published work on the experiences of Black women and gender queer undergraduates of Predominantly White Institutions (PWIs). Lauren is committed to creating a space in the BCC where Black students can show up as their full authentic selves and be supported in aspects of their development. Arturo ‘Tito’ Diaz serves as the Program Coordinator for the Multicultural Student Center. Previously he served as an AmeriCorps member with College Possible Milwaukee as a Senior Coach. Tito graduated from the University of Wisconsin Madison with a degree in Community and Nonprofit Leadership with a certificate in Chican@/Latin@ Studies. During his time on campus he was involved with his Scholarship Program, P.E.O.P.L.E, ran for numerous positions in the Associated Students of Madison, joined his Fraternity Lambda Theta Phi Latin Fraternity Inc., and was the President of the Multicultural Greek Council. Tito also interned with the MSC as the Outreach and Partnership Intern, a collaboration with CommNS in the School of Human Ecology. In his final year he was able to win the Multicultural Student Center’s Campus Legacy Award. He is thrilled to be returning to Madison and work toward creating an authentic Wisconsin Experience for the students he will be serving. Caitlyn LoMonte (she/her/hers) serves as theAssistant Director for Social Justice Programs for the Multicultural Student Center. Caitlyn earned her Bachelor of Arts in Women’s Studies and Bachelor of Science in Advertising from the University of Florida where she was a Machen Florida Opportunity Scholar. She served as an AmeriCorps VISTA at the University of Florida providing resources, support, and outreach to first generation college students and high risk high school students in the Gainesville, FL community before moving to Chicago, IL to pursue a Master of Arts in Women’s and Gender Studies from DePaul University. Caitlyn is passionate about social change, education and empowerment. She is thrilled to begin a new adventure at UW-Madison and is looking forward to getting to know students and build a more inclusive campus together. Tawnee comes to UW Madison from the Flathead Reservation in Montana and is an enrolled member of the Little Shell Band of Chippewa Indians of Montana. She attended Stanford University, where she earned a BA in American Studies and a Masters in Sociology with an emphasis in Social Inequality. Her background is in Residence Life, with two years as student staff and as a Summer Resident Assistant for the International Honors Program. Much of her experience is rooted in outreach and connection to the Native American community; she spent several years as Miss Little Shell Princess and volunteered in cultural education programs with the Great Falls Public Schools Indian Education Department. 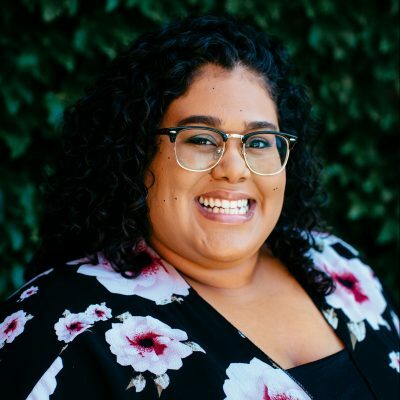 Tawnee is passionate about decolonizing social justice frameworks, integrating history and sociology, deconstructing pop culture, and building safe, welcoming, and inclusive communities. She is very excited to work with the staff of the Multicultural Student Center to support students of color at UW Madison! Tiffany Lee is a Black queer femme from York City. She has Master’s degrees in Gender and Women’s Studies and Afro-American Studies from UW Madison. Her scholarship and activism are centered on queer folk of color. She enjoys (good) spoken word, clever Internet memes, and challenging oppressive structures – small and large. She is extremely excited to bring her passion and experience to help create and sustain an empowering environment for queer people and our allies on this campus.